Did you know that wetlands are very important habitats that provide benefits for both humans and wildlife alike? Generally defined as “land consisting of marshes or swamps”, wetlands provide natural flood control by soaking up runoff from heavy rains and filter out chemicals, pollutants, and sediments that would otherwise contaminate our drinking water. They also provide a home for much of the fish and wildlife species that inhabit the state of New Jersey. Due to the extensive development and urbanization of the state to accommodate our ever-growing population, much of New Jersey’s natural wetlands have ceased to exist. In the 1980’s a study conducted by the United States Fish and Wildlife Service (USFWS) found that, since the mid-1900’s, the state lost at least 20 percent of its natural wetland resources. Since then, concerted efforts have been made to protect, restore, and create wetland habitats across the state. One such effort has been made by the Natural Resource Conservation Service (NRCS) with the Wetland Reserve Easement (WRE) project, a component of The Agricultural Conservation Program in partnership with Conserve Wildlife Foundation. WRE is a voluntary program that provides an opportunity for landowners to receive financial assistance in exchange for permanently protecting retired agricultural land. Lamington River, Bedminster, Somerset County. Location of American toads. While walking one such easement property in Bedminster, Somerset County we observed a population of American Toad (Anaxyrus americanus) polliwogs in a shallow water inlet along the Lamington River. There had to be hundreds of these young toads both in the water and on the shore. The American toad is just one example of a wildlife species that benefits from readily available wetland habitat and that is also vulnerable to habitat loss due to wetland destruction. Although they are very common in New Jersey, and many people can recognize a toad when they see one, there are still a handful of myths and misconceptions about toads that I would like to address. Myth 1 – Toads will give you warts if you touch them: False. While toads do have warts across their bodies, they cannot transmit these warts to humans as warts in people are actually caused by a virus. This doesn’t mean you should go around handling every toad you come across, but if you do pick one up you will not contract warts from it. Myth 2 – Toads must be completely safe to handle if they do not transmit warts: False. Toads secrete toxins through their skin so it is completely necessary to wash one’s hands after handling a toad. They also are known to pee in self-defense, especially when picked up by a human. This may not bother some people but you should still make sure to wash your hands after holding one. Myth 3 – Wild-caught toads make good pets: False. While toads are very easy to care for, and it is not hard to replicate their natural environment in a fish tank, it is still very important to leave wild toads wherever you find them. Toads will spend their whole lives in one area, leaving it once or twice a year just to go breed, and it can be very disruptive to a toad’s well-being to find itself in a new home. If you do happen to keep a toad for more than a few minutes, it is of utmost importance that it gets returned to exactly where you found it. Releasing it into any suitable habitat would seem adequate enough, but it would be like if one day you just found yourself wandering around Nebraska with no way of knowing where to go or how to get home! 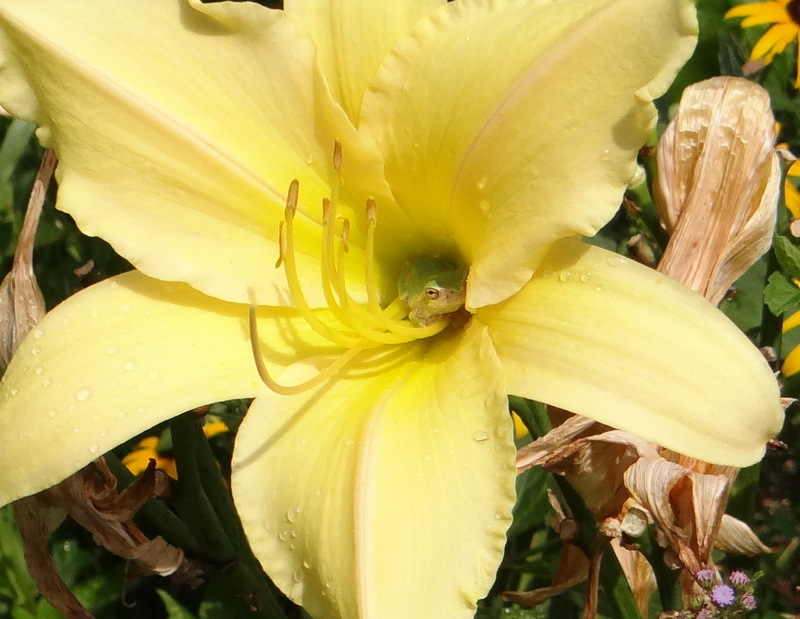 Myth 4 – Toads are terrestrial species and do not need to be near water to thrive: False. Toads will spend most of their lives hanging out in fields or meadows or even forests, but they do need access to pools of water in order to breed. Every summer, toads will migrate to pools to find mates and to lay eggs. 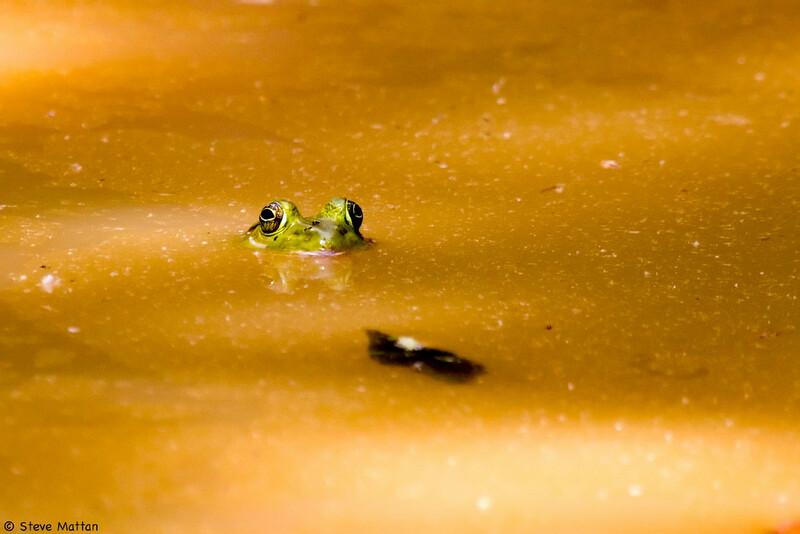 While they do not swim, like their close relative the frog, they still benefit from having shallow water habitat in close proximity to where they spend most of their time. Myth 5 – Toads are poisonous: TRUE. Contact with a toad’s skin will not give you warts and it will not poison you just through skin-to-skin contact. However, they have glands just behind their eyes that when pressed will secrete a milky-white substance that can severely harm someone if ingested. This may not be a danger to most people, as most humans have no interest in putting toads in their mouths, but it is a concern for dogs. Dogs very typically love to grab strange objects with their mouths, which applies enough pressure to a toad’s glands to excrete their poison. This can be very detrimental to a canine’s health and can even kill them. If you find yourself wandering around toad habitats with your beloved pup ensure that they do not try to eat any toads that they come across. If your dog does mistakenly poison itself you should take it to a vet immediately. Through programs like WRE, more and more wetland habitats are being made available across the state for wildlife species like toads. It is important to be aware of what impact you can have on them, as well as what could happen to you or your pet through contact with toads. Liam Hobbie is a 2016 field intern for Conserve Wildlife Foundation of New Jersey. Each spring, our Calling Amphibian Monitoring Project (CAMP) volunteers drive along a fifteen mile route after dusk, stopping at ten established stops along the route. They are hoping to hear the calls of some of New Jersey’s 17 species of frogs and toads. If they are lucky they’ll get to hear a chorus of several different species, sometimes so loud it’s almost deafening. Other times, they strain to hear a lone call from far away and many times they only hear the passing cars. It takes a dedicated volunteer to spend the time surveying and hearing only a few or no calls. But even the negative data is important, amphibians face many threats in New Jersey and establishing a long term database is key to learning about the population. This season, twenty-one routes were surveyed and 16 of the 17 New Jersey frog and toad species were heard. 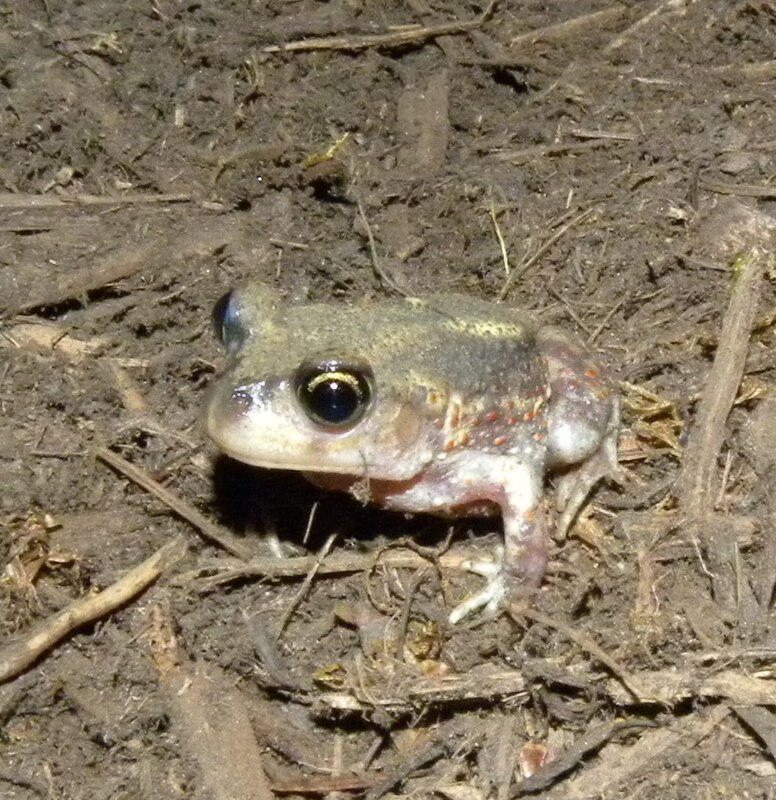 The Eastern Spadefoot Frog was not heard this season. 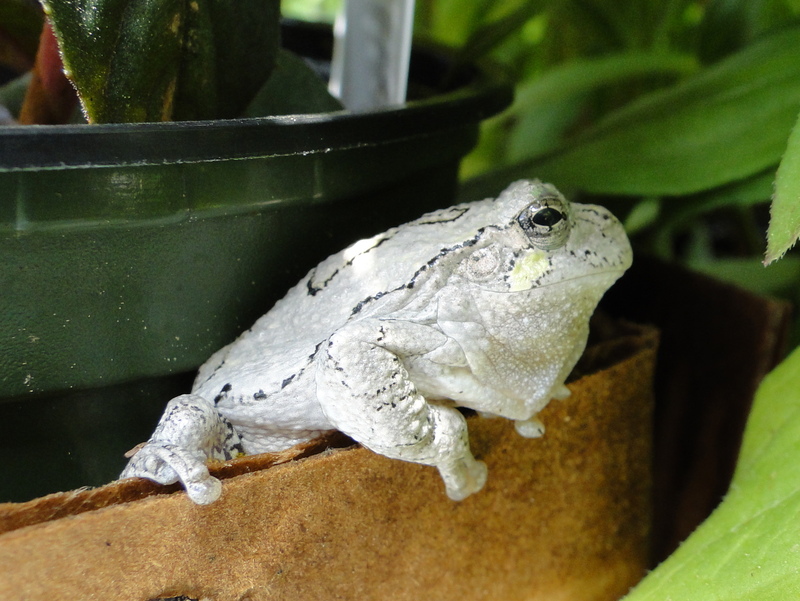 This year, the American Green Treefrog was recorded on one route in Salem County. This species of frog was first discovered in New Jersey in June 2011 in Salem County. The Northern Spring Peeper was heard on 19 out of the 21 routes, with Green Frogs heard on 15 routes and Northern Gray Treefrogs heard on 14 routes. There are 63 CAMP routes through out New Jersey. Currently 34 routes are available for the 2016 CAMP season. If you are interested in volunteering for the CAMP project, please contact Larissa Smith via email. Larissa Smith is the Wildlife Biologist/Volunteer Manager for Conserve Wildlife Foundation of New Jersey. NJ’s Frogs And Toads Are “Calling” For Your Help! It’s the heart of the winter season and cold outside, so the furthest thing from your mind is hearing the calls of New Jersey’s frogs and toads. But now is the time when we start getting ready for the Calling Amphibian Project (CAMP) and thinking ahead to the spring of 2015. 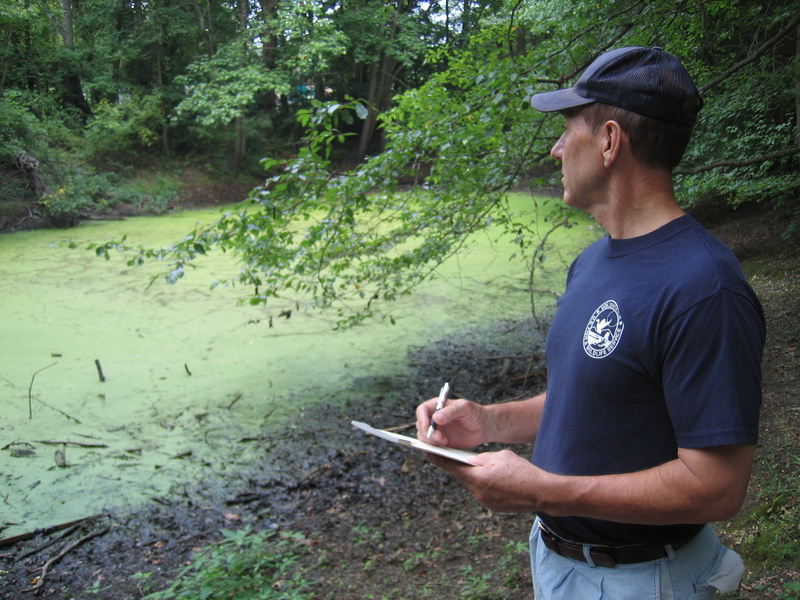 The object of CAMP is to assess the distribution, abundance, and health of New Jersey’s amphibians. This is part of a larger initiative called the North American Amphibian Monitoring Program (NAAMP) and the data collected in New Jersey will be submitted into the National database. Volunteers participating in this project will be asked to conduct roadside surveys (after dusk) for calling amphibians along designated routes throughout the state. Each 15-mile route with ten stops will be surveyed three times during the Spring and a structured protocol will be followed to determine which nights to survey, how long to survey, which species are calling, and how to estimate the total number of individuals calling at each site. In 2014, 24 volunteers participated in CAMP and surveyed a total of 23 routes out of 63. We have many dedicated long-term CAMP volunteers. Unfortunately due to different circumstances some can no longer participate so we currently have 37 routes available for the 2015 survey season. If you are interested in learning more about this project, contact Larissa Smith. This year we will be holding a meeting for CAMP volunteers in January. The meeting will be a good opportunity to meet other volunteers and the biologists who work on the this project and other amphibian projects. Biologists from CWF, the state ENSP and DLUR will be there to discuss the two “new” NJ frog species and how CAMP data is being used by the state. Test your NJ frog and toad call knowledge! 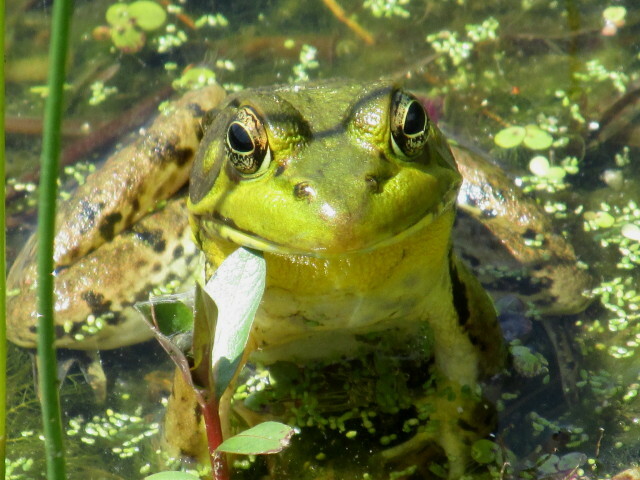 Take the public frog and toad calling quiz on the NAAMP site. Each spring Calling Amphibian Monitoring Project (CAMP) volunteers take time out of their busy lives to drive the dark roads of NJ and listen for the calls of NJ’s amphibians. Not only do these volunteers have to find the time to schedule the three surveys, each in a specific four week period, they need to meet the protocol for the surveys. This means meeting the minimum temperature requirement, which is not the easiest in March, as well as other weather protocol. Once they find a perfect night to survey the volunteers follow a 15-mile route with 10 stops. They stop and listen for 5 minutes at each stop and record the amphibians they hear. This can be a frustrating experience depending upon the route. Noise from cars can make surveying difficult and some of the routes in more developed areas record no amphibians calling on many of the stops. Meanwhile volunteers on the less developed routes can often hear a chorus of frogs and toads that can be almost deafening. I’d like to thank all the dedicated CAMP volunteers for finding the time to survey this season. Thirty-one volunteers surveyed 33 routes. Each route is to be surveyed three times during the spring in March, April & June. A total of 77 surveys were conducted. All 16 species of NJ frogs and toads were detected on the surveys. The species that was heard on the most routes was the Northern Spring Peeper which was heard on 31 routes out of 33 that were surveyed. The second most detected species was the Green Frog heard on 22 routes out of the 33 surveyed. The least detected species was the Spade Foot Toad which was only heard on one route. Would you like to help next year? Fourteen routes are available for the 2012 season. For more information on volunteering email Larissa Smith.